Concordia University Wisconsin has partnered with Vertz Marketing and Rotary International to create an innovative marketing and business mentoring program to serve young, growing businesses in the community. The organizations launched the new venture, called the Vertz Marketing Rotary Small Business Innovation Center, this fall. There are openings for up to 10 Mequon-Thiensville businesses during the program’s inaugural semester. The Vertz Marketing Rotary Small Business Innovation Center at Concordia University partners with select Mequon-Thiensville businesses to provide marketing and business development service to foster economic development in the region. The Batterman School of Business at Concordia University Wisconsin, Vertz Marketing, and Rotary International have combined their forces to share their business expertise with the Mequon-Thiensville Business Community. These entities will provide free digital marketing and business development planning to 10 qualified area businesses each semester. “We are proud to be a part in creating the Vertz Marketing Rotary Small Business Innovation Center at Concordia University and help give back to our local community,” said Tim Vertz, founder and CEO of Vertz Marketing. Young, growing businesses in the Mequon-Thiensville community are encouraged to apply for the fall 2018 program. Each business will be assigned up to three Concordia University student interns for the semester under the direction of Concordia University and Vertz Marketing. “We had a lot of success in the spring 2018 semester testing this concept with Thiensville area businesses and we’re very excited to expand this into Mequon and our new partnership with Vertz Marketing to serve the community,” said Dr. Daniel Sem, dean of the Batterman School of Business at Concordia University Wisconsin. Organizations including the Mequon-Thiensville Chamber of Commerce, Thiensville Business Association, Thiensville-Mequon Rotary and Ozaukee Economic Development are signed on as business association sponsors to help recruit businesses to take part in the Vertz Marketing Rotary Small Business Innovation Center program. 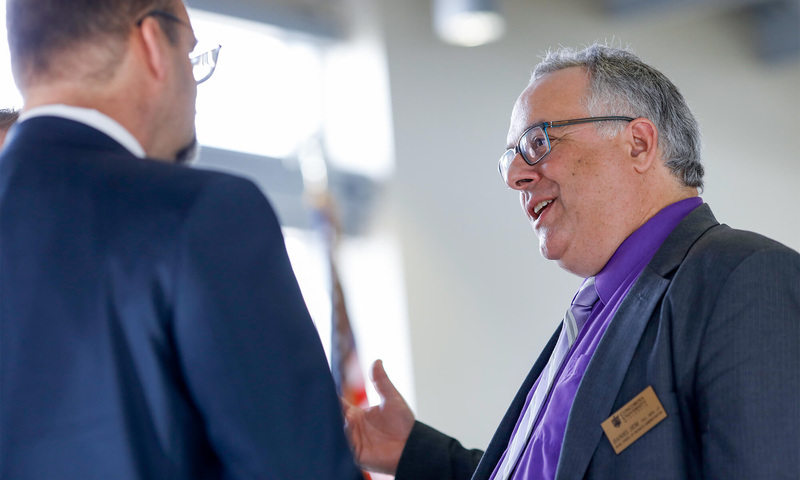 For more information about the Vertz Marketing Rotary Small Business Innovation Center, please contact Tim Vertz (timv@vertzmarketing.com or 414-379-1677 or Dr. Daniel Sem (daniel.sem@cuw.edu or 262-243-2778). —This story was adapted from a release written and sent out by Vertz Marketing.